That has quickly changed. Walta was this week on stage at one of the country’s biggest events, the Diggers & Dealers Mining Forum in Kalgoorlie-Boulder. He used the opportunity to tell delegates about the progress New Century has made at the Century zinc restart project in Queensland. New Century’s rise at Century has been rapid, to the point the company is now being noticed across the country, even at a conference traditionally dominated by gold miners. 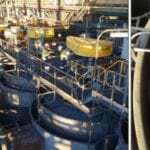 Now, just days from launching production through the reprocessing of tailings, New Century is on track to have one of the top 10 producing zinc operations in the world once it has been ramped up. A big part of New Century’s progress since acquiring the site from MMG has been its partnerships with mining services companies. New Century, initially a lean company, knew its relationships with mining services companies would be crucial if it was to redevelop Century as quickly as possible. New Century’s key relationship has been with Sedgman, which was awarded a five-year contract to operate and maintain Century’s Lawn Hill processing plant, concentrate pipeline and Karumba port facility in May. Sedgman has been involved with the restart from an early point, including during the bankable feasibility study and the refurbishment and operational readiness process. “We have been joined at the hip with them from day one,” Walta said. “Ultimately they are providing about two thirds of the workforce for us as well. We’re able to maintain our lean and mean ethos being a small focused group. The Century project currently has around 350 on-site as it edges closer to the restart; that number will fall to 195 once the operation hits its full run rate. New Century’s partners for the restart also include National Pump & Energy (NPE) and Paragon Tailings, which have been contracted for the hydraulic mining services. 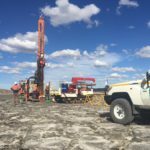 The company will restart Century with a 6.3-year mine life and it has launched an expansion project through a feasibility study that Sedgman is also involved with. New Century is targeting expansion in several areas at Century, including at the South Block and Silver King deposits. It has 9.3Mt of mineral resources at 10.8 per cent zinc and lead that is being assessed for inclusion in the operations. The feasibility study and exploration represents potentially the next phase of growth for New Century, and it has established the business partners to join it on that journey.